Summer is coming and with Memorial Day weekend in front of us I thought I would quickly share this link for a great resource for families: the Environmental Working Group’s Annual Sunscreen Safety Guide called “Skin Deep” There are lots of great tips and resources on the site but the part of the guide I like the most is the sunscreen database that allows you to search for specific products and get their safety rating. 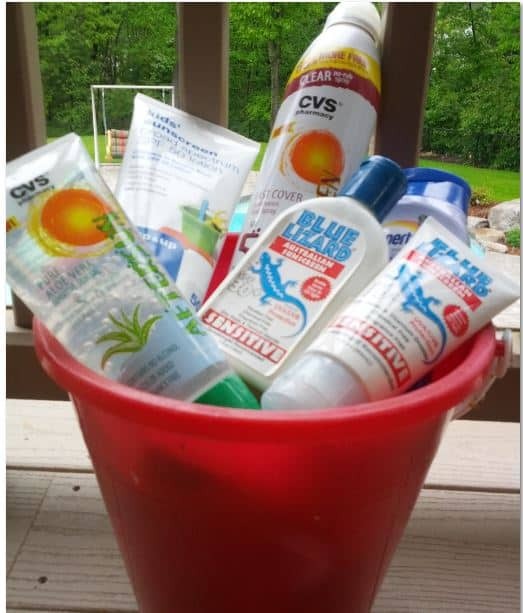 There has been lots of information in the media about how safe some of these sunscreens are (many of them are filled with some scary chemicals and considering we are spreading those on our skin, and our kids, daily in the warmer months) its worth paying attention to. But I should warn you: this is not always feel good stuff. 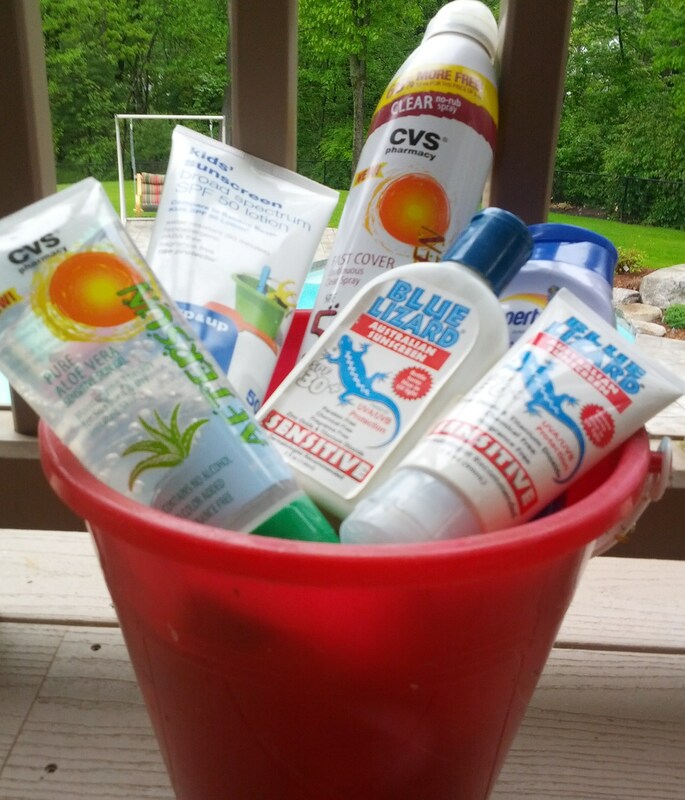 You may find your favorite product for the beach does not score that well. I would suggest if it ends up with a low safety score, just move on and DO NOT read all the stuff that is in the product. Honestly, it will just freak you out and if you have already used it what is the point. Just move on and find a better one before the summer starts…and that IS something to feel good about! 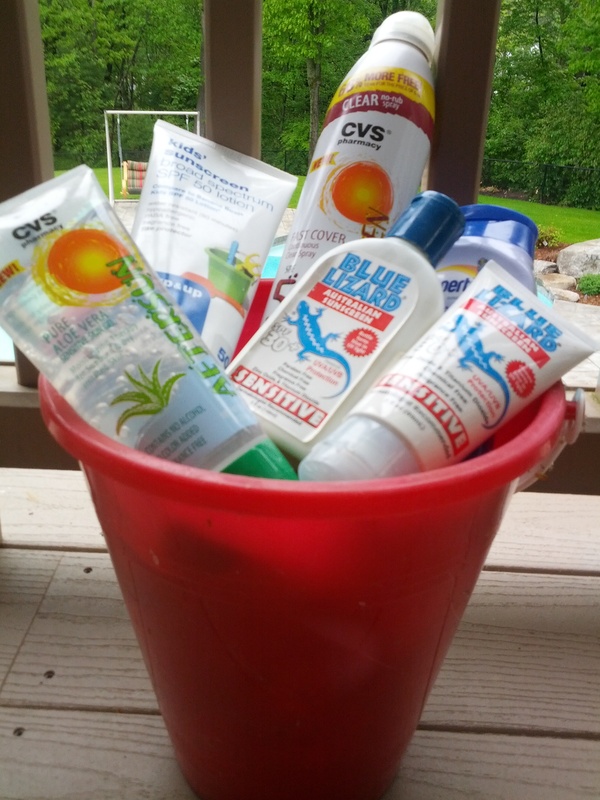 Zinc/mineral based sunscreens are the safest in terms of chemical overload. I always look for sunscreens that use this as their main ingredient. As I mentioned above our favorite is Blue Lizard. Don’t over rely on High SPF’s : SPF’s with a 50+ give people false security they can stay in the sun longer without reapplying. Not true according to the guide. There is some science on why this is true and I won’t go into it all here (its all in the guide) but basically the rules are still the same: reapply, reapply, and reapply. Baby Sunscreens are not just for Babies: Even if you do not have babies anymore, baby sunscreens are generally made without as many chemicals and offer better protection. I think less chemicals is a good thing no matter if you are 6 months or 60. Wishing you a fun and safe Memorial Day Weekend in the sun!